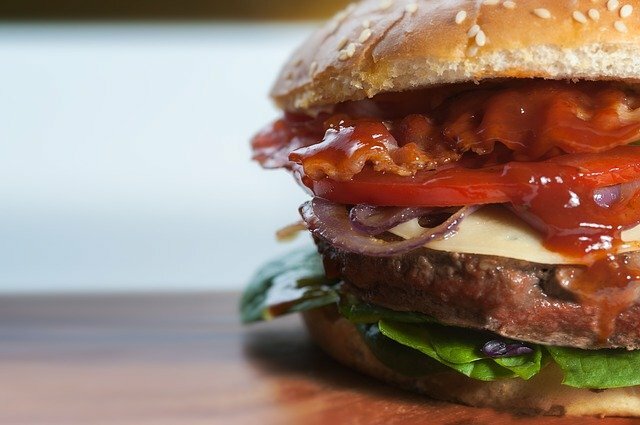 In the past few years, we are witnessing a growing number of high-end burger restaurants in Tel-Aviv. Even some acclaimed chefs have decided to leave the kitchens of the gourmet restaurants and head out to the streets. What makes one hamburger better than the other? In the end, it is just a meat patty between two buns. Well, we went to check what is so special about today’s burgers and, on the way, decide, once and for all, who is the best burger place in town. Many locals claim that this is the best hamburger Tel Aviv has to offer and to be honest, it’s kind of hard arguing with them. Their burger is fresh and perfectly cooked, Quality cheese on top and fresh vegetables inside the bun accompany the meat so every bite is a dream. The price of a meal, including thin, crispy fries and a drink is really affordable as well and if you like a good bacon, they definitely know how to cook it the right way. The location is great and they are open every day until 3 am. The Prozdor Burger is a great hidden spot, known only by locals. The atmosphere here is very friendly, the music is great and the service is fast and efficient. In the food category, there’s a great selection of unique burgers that you’ve never seen somewhere else. our favorite on the menu is the “Champion of Onions” – comes with crispy onion rings and cheddar cheese inside the burger. They don’t have any deal on a meal but the sides are big enough to share with friends so you are sure not to leave hungry. is very close to the restaurant. There is almost no one in Tel Aviv that doesn’t know The Vitrina and if you’re not a fan of tomatoes – you came to the right place. At the moment, they have two locations that are constantly full of happy clients and if you pass by one of the restaurants, most likely you will see a line of people waiting to get their hands on one of those delicious hamburgers. Great burger, wonderful service and the fries are to die for! The talented chef, Omer Miller, created this amazing chain of restaurants that are located all over the city. 120-gram burgers that you can also grab to go in a great packaging. although it’s a little pricey, they have the most amazing sides, If you’re curious to try Mac&Cheese fried balls or crispy onion rings, this is the place for you. Their veggie burgers are known as one of the best in town and you can also enjoy an extra thick Milkshake if you want to go wild! Agadir is one of the first quality hamburger brands in Israel and they have definitely managed to keep the high standard. This chain of burgers is absolutely wonderful! They offer great deals and a very affordable business lunches. Located in the hottest spots in the city – Ben Yehuda street close to the beach and also in Nahalat Benyamin next to the Carmel market. Great veggie options and also a variety of great burgers. Open until 1 am, and also during the weekends!